I dabble in all areas of crafting. How could I not? There are so many cool things out there to be made! Once upon a time when Provo Craft came out with the Gypsy I designed some really cute Gypsy Stylus Charms that you could attach to the end of your Gypsy Stylus. Not only did it look cute but it helped you to fine those tiny little Stylus pens when they where laying on your scrap area intermixed with everything else. They were a huge hit! I just created several more to list. Turns out people love them as key chains too! Who knew? While creating this one I had the idea to add a lovely Simply Red Rumple Ribbon bow. How gorgeous is this now? Love the endless possibilities rumple ribbon has. You should of arrived here from my super fun and crafty pal, MADGE but if you did not, please start at the beginning at Jessica's Blog! So, EVERY project will be birthday themed using one of the 5 items mentioned above!!!! Now, you KNOW every hop HAS to have some giveaways!!! 12" Border Template Set "Chevrons"
Now that we showed you the prizes, onto my project!!! First off, Happy Birthday Jessica!! Woot! Woot! Thank you for allowing me to celebrate with your girlfriend!! We have so many of the same things in common so this hop was so much fun!! I created a cute Birthday Card for you my friend!! Using a few of your favorite things! I will be sending this off to you along with some Kiwi Lane goodies!! Cause I know you love them so much!! Hope you are having an amazing time at convention!! Now, onto AUDREY'S FAB BLOG! Create a project that is inspired by your country. When I think of this great Country I live in, the USA, I think of our majestic flag. So I wanted the base of my card to be just that (to an extent). And what is more American than Baseball and fireworks? I have a nephew that is going to love getting this card for his Birthday!! He's a huge Baseball player! We are having a major sale!!! and make me the winner of our design team contest!! you'd be crazy not to take a look!! We have no idea what we are competeing for..LOL! But I know it's gonna be good so please please help me win!! 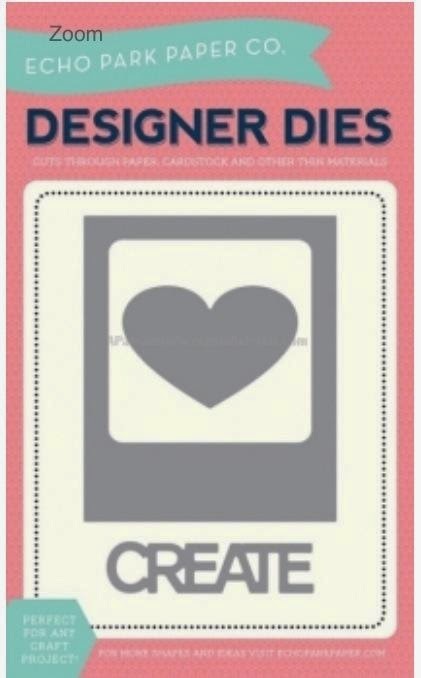 Help me win and comment below that you placed an order and I am going to give away a scrapbooking goody bag worth $10. I love vinyl and am always looking for new things to decorate. My kids love to give Tucker treats, however they are really bad at closing the seal on the bag so the treats become stale. It's a huge bummer! Until now! I found this container and the treats fill it up. It's so cute too because Tucker knows they are in there. I added some personalization in vinyl to this container and couldn't help adding some LoveBug Creations Camo Fun Footz Rumple Ribbon. You can't get the Fun Footz anymore but there are a ton of fabulous colors to choose from that would look amazing on this project as well. and help make me the winner of our design team contest!! 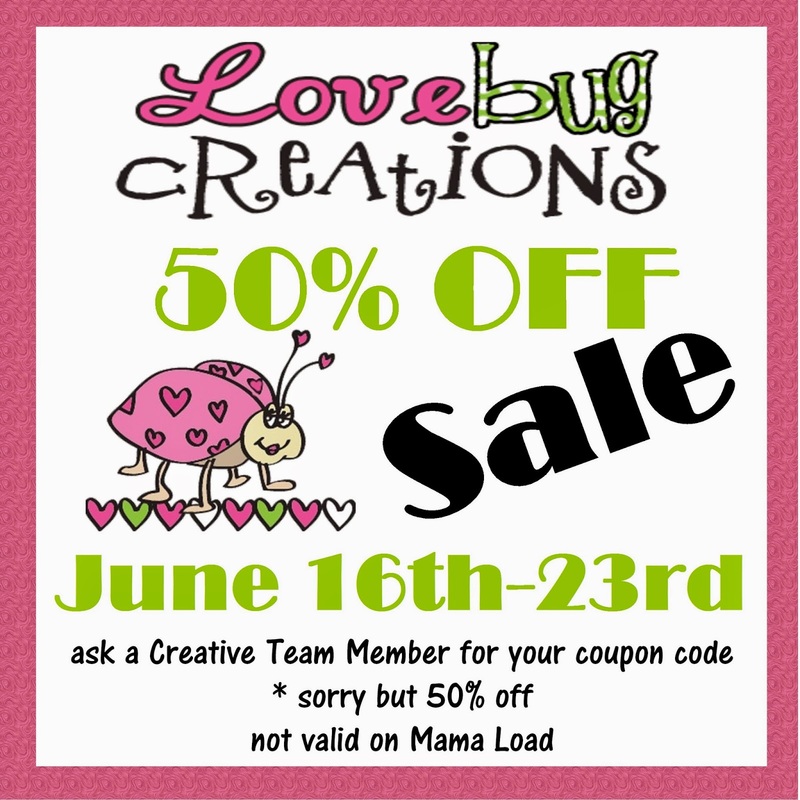 You know I love the products and at 50% off you'd be crazy not to take a look!! 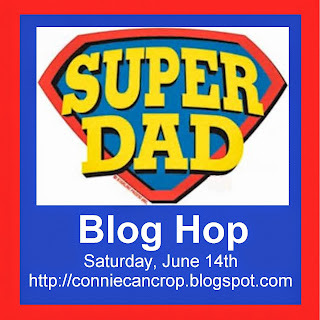 Super Dad Blog hop this past weekend. I hope you all enjoyed the fabulous projects that were created and the awesome pics and stories about our dads. I know I sure did!! Here's our Lucky winner, she is receiving an awesome prize from our sponsor this month. Kathy, I need you to email me your info in the next week, so I can forward it to our sponsor!! Congrats!! And thanks so much to everyone who participated in our hop!! Scrappy hugs!! Create a card or layout that includes something with wings. I created another birthday card for one of my sweet lil nieces. I hope she loves my little bird and the bright cheery colors because they make me smile and hopefully she will smile too. Yummy Rumple Ribbon and Mama Mesh!!! 50% Off Sale- No Way!! YES!! Really!! Connie Can Crop (that's me) is the first stop on this Blog Hop. I am super lucky to have three amazing MEN in my life!! My husband is a great DAD and my boys are lucky to have him in their lives! I am pretty lucky too! My Dad is just the sweetest and cutest Dad ever and I love and miss him so much. Florida is just too far away! And then my Father in-law, Jim. A girl could not ask for a better In Law. He is charming and so fun to be around. I really am blessed. I decided to toy around with some cool mugs I purchased a while ago at Dollar Tree. I love that they are Ball Jar Mugs. They remind me of the beer mug my dad had when I was little. He always kept it in the freezer so his beer would be nice and cold. Using my Silhouette Cameo and a file I found on the Internet I was able to Trace and Cut these Images of the Duck Dynasty Characters on to the glasses. The heavy duty silver vinyl should last a really long time because it is the outdoor strength and made for all temps. Who can resist Phil Robertson with his Happy Happy Happy? And of course Uncle Si? He cracks me up! Hey Listen here Jack! It's Father's Day!! So have a great one! LoveBugs Creations Rumple Ribbon adds the finishing touch!! Whether our dads add beer or sweet tea to these mugs I am sure they will bring laughs and smiles to their faces! Hope you enjoyed them too. Want your own? I may be adding these to my Etsy store. Thanks so much for hopping along with me today!! Up next is my awesome friend Alicia! This week I finally got around to scrapping one of my sons first hospital stays. I purchased a paper pad from Adorn It and just knew that I would use it for this. I also knew that Simply White Mama's Mesh would look awesome on this layout!! 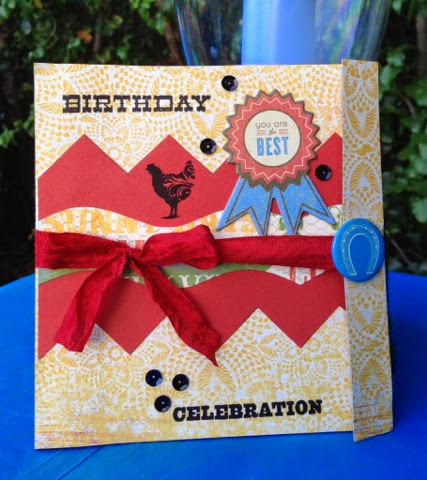 Create a card or layout using black and your choice of one other color. I created a classic black and white card. This will be perfect for a wedding, anniversary, or any other formal occasion. The inside is blank. Figured I could stamp it later. Hello My Wild Crafting Friends!! on using our fabulous round sponges for distressing. A must have!! but I do love the way it turned out!! on my blog (last month) but here is the how to video to go along with it. It's time for the May Challenge Winner. May's winner will receive a Sweet Stamp Set from Pink and Main!! Migdalia, I need you to email me your info so I can get your goodies to you!! I love this sketch and had so many ideas pop through my head. But this one did it for me!! Been meaning to make a get well card for sometime and this paper was perfect! I also used my Dr. Check Up Cartridge for the first time. I adore this broken heart with a bandaid. And LBC Mama's Mesh makes that bandaid look so real!!! LOVE it! I guess this could be used for a heartache card too. In either case it is sure to make someone smile. I want you to create a project that includes the word "SUPER" on it and a Starburst. This doesn't have to be a Father's day themed project. It can be any theme you want as long as those two items are on it. Hope this makes sense!! If not please ask me for help. New Rule!! You must become a follower of my blog and my sponsor's blog to win!! Entries are due by Monday, June 30th at 11:59 pm.